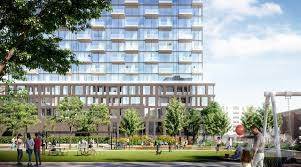 XO Condos is a new condo development by Lifetime Developments currently in pre-construction at 1182 King St W, Toronto, ON L7E 1A2. XO Condominiums has a total of 701 units in a 14 & 17-storey tower in Toronto’s Liberty Village neighbourhood. XO is located at the major intersection of King Street West & Dufferin Street for an estimated occupancy date in 2021. Designed by CORE Architects, XO will have a contemporary design. Azura Condos & Charisma Condos are launching soon in Toronto. Hi, I'd like to find out more information about XO Condos. Thanks so much!